Welcome to the CHS Online Trading resource, a platform that allows you to monitor markets and to sell your grain to CHS when it’s convenient to you. 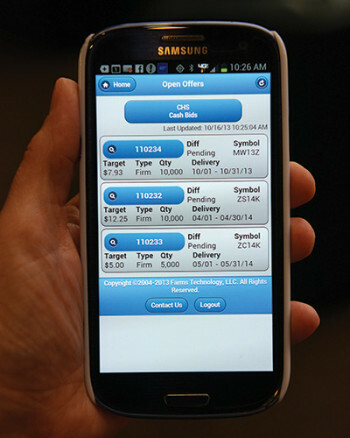 Change your target price at any time, whether online or on the new CHS Grain Trading mobile app. We look forward to servicing your marketing needs. Please contact us for questions or assistance.